August 14th: Philip Oakes, Unite Regional Officer, has confirmed that he has written to the Chief Executive of Schivo NI, Seamus Kilgallon, in the hope of averting a legal and industrial battle between the workforce and management. “Maydown management has failed to abide by the terms of our collective bargaining agreement by refusing to engage with Unite over the TUPE transfer of the workforce and is in the process of conducting a secretive redundancy process. 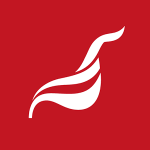 “When we went public with the fact that the workforce had received letters warning of potential redundancies, management attempted to downplay the threat saying that only 15 jobs would be lost; however, we now understand that redundancy plans may include up to 50 positions at the Maydown facility. “We are also highly concerned that management appear to be prioritising longstanding union members and shop stewards for redundancies. This has only exacerbated the mounting concerns among the workforce about future job security. “I have written directly to Mr Kilgallon as I’m not sure he is aware of what local management here are doing. I have expressed my willingness to meet at his convenience before the 20th August in order to resolve the situation. “In the absence of a response, Unite will pursue every avenue to defend our members and our activists. We will issue proceedings over the failure to consult and will ballot our members for industrial action to defend their rights and job security”, Mr Oakes concluded. This entry was posted in Northern Ireland news, Press Releases, Sectors and tagged Derry/Londonderry, job losses, Maydown Precision Engineering, Philip Oakes, Schivo NI, Seamus Kilgallon, TUPE. Bookmark the permalink.